Ever wanted to test your brain? 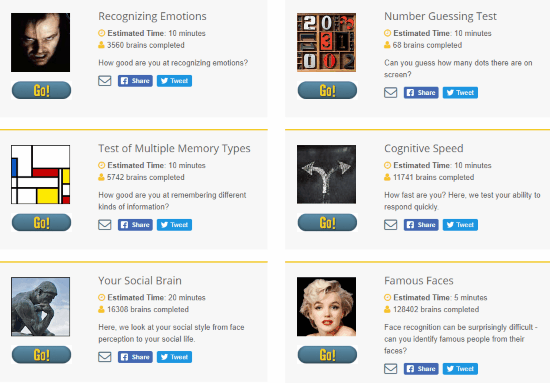 Here are the best online brain test websites to test your brain in different ways. All the websites mentioned in this list will subject your brain to different types of test. Through these tests, you will find out how good is your brain. All of these tests ask you different questions, and based on your response you get result about your brain. So, what kind of online brain tests are these? These websites to test your brain fill help you find your IQ, mental age, brain speed, brain memory, intellect, and one of these will also tell if you are left brained or right brained. Let us go through these tests briefly and get to know them. Test Your Mental Age with this online brain test from Memorado. This test puts your through a series of 10 questions to find out your mental age. These questions ask about your habits and also test how your brain responds to things. When done, it shows what is your mental age and also suggests ways to train your brain. You can give this brain test a try here. You can checkout more such websites to test your brain for mental age here. This Brain Speed Test is an online brain test to checkout what is your brain speed. 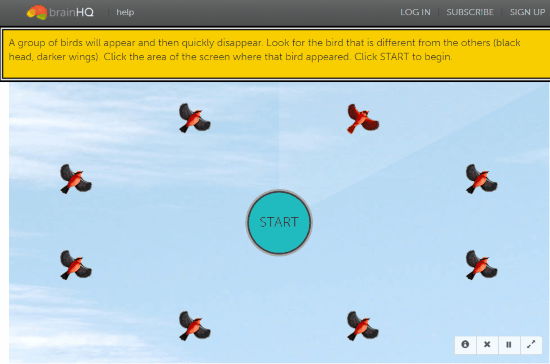 For this, it shows you a picture of flock of birds flying in the sky. One of these birds are different from others. The birds will disappear, and you will have to spot the position where the odd bird was. This will continue several times and the duration for which birds are displayed keeps decreasing. At the end of the test, you will get to know what is your brain speed along with a brief paragraph. Give this test a try here. 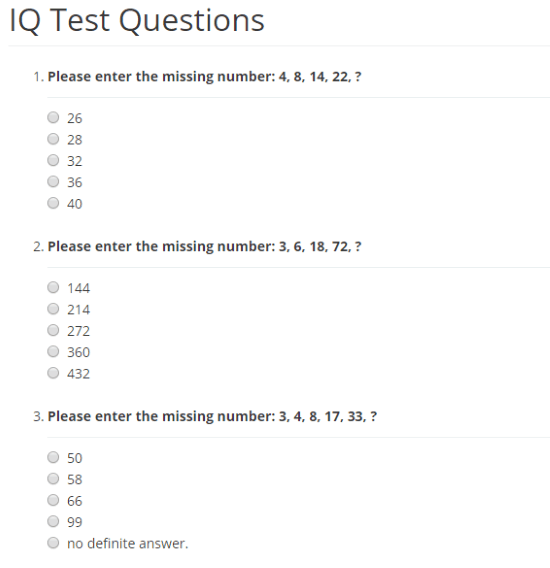 Brain IQ Test from Brain Metrix will tell what is your IQ level. For this, it asks you 20 different questions. These questions are more like aptitude test. All the questions asked here are multiple choice questions. When done, this website to test your brain tells what is your brain IQ score based on the answers you give. You can check out this test here. 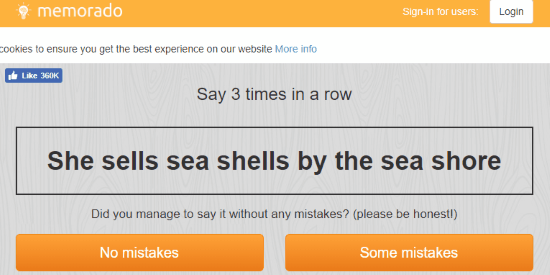 Checkout more such IQ test websites here. Are You Left Brained Or Right Brained? Find out using this online brain test websites. This is a very interesting test filled with visual questions. You will love giving this test as it asks you questions that are very different from conventional tests. At the end of the test, you get the inclination of your brain if it’s right inclined or left inclined in percentage. You will be able to share your result on social media websites as well. Find out more similar Left Brain Right Brain Test websites here. How well you recognize emotions. You well your brain behaves socially. How well you remember social faces. It is one of the best places on the internet to give your brain an overall test. Give this brain test a try here. This website gives you several Puzzles To Trick Your Brain. 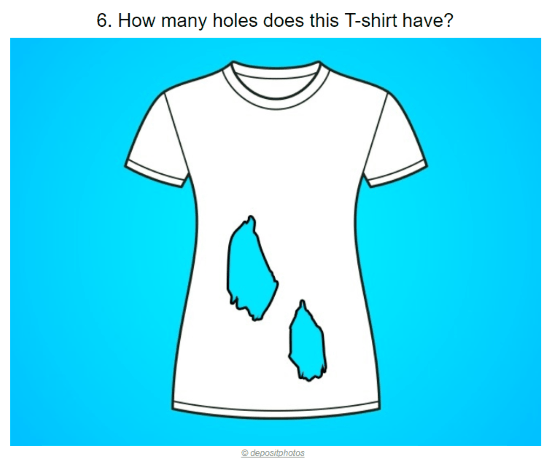 These puzzles are all visual puzzles that will rattle your brain. There are almost 7 puzzles that you need to solve one at a time. The result to these puzzles are provided at the end of this website. It is one of the most entertaining websites to test your brain. These were some of the best websites to test your brain online. As all these tests are different from each other, you will get to know about your brain in a better way.